DUBAI, UNITED ARAB EMIRATES, December 28, 2018 /EINPresswire.com/ — Entrepreneurs and businesspeople need frequent travel without border limits. Furthermore, the type of passport they possess has a strong bearing on where in the world they can go, and with whom they can do business. This limits opportunities for investments, business partnerships and tax efficiency. The second passport, however, can help get over this problem. Many countries; however, welcome citizens from other nations to hold dual nationality with them in return for real estate investment or donation. These second citizenship schemes can open a world of opportunity. A second passport gives you the ability to freely travel the world. For example, holders of a St. Kitts and Nevis passports can travel freely to approximately 140 countries, while citizens of Dominica can get visa-free (or visa-on-arrival) access to around 127 countries. EU passports give you access to more than 160 countries visa-free or visa-on-arrival, or in the case of Portugal, you gain access to more than 175 countries, hence the passports’ high ranking. Any potential tax benefits of second citizenship will depend mainly on the country you are from and your state of second citizenship. Some countries, particularly in the Caribbean, offer much lower tax rates than many developed nations. Therefore, becoming a second citizen of such a nation may present opportunities for higher tax efficiency. Second citizenship not only allows you commercial access to the country of your second nationality but in most cases, much more as well. 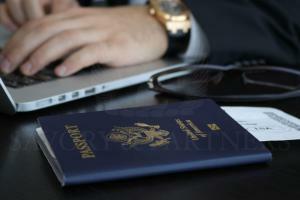 The second passport can open a host of business and investment opportunities. However, some countries do not accept foreign investment from certain nations. Thus, foreign nationals will not be able to take advantage of good interest or exchange rates. They may not be able, too, to invest in lucrative property markets, such as those in Europe. Should the country where your business is based undergo any significant financial, social or political cataclysm, a second citizenship offers you the option of relocating your assets to another more stable nation. Besides, having second citizenship can provide you with an escape route from any potential conflict, civil unrest, or travel sanctions imposed upon your home country. One of the main advantages of second citizenship is the more significant access it gives to millions of potential customers. As many countries only allow their citizens to do business, obtaining second citizenship means you not only can you do business in that state, but you can also trade with the many others that your country of the second nationality gives you access to– essentially becoming a gateway to the broader business world. While obtaining second citizenship can be complicated, thus, require a substantial investment along with professional guidance, it can be a little price to pay for the potential benefits on offer. It opens up a whole new world to both individuals and businesses. Learn how to properly complete a Chiropractic ABN. 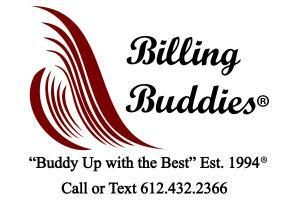 MINNEAPOLIS, MINNESOTA, USA, December 25, 2018 /EINPresswire.com/ — Billing Buddies releases a YouTube video on properly completing the Chiropractic ABN. Here's the transcription of our video. Click on the link to view the video. Bruce Gendelman Insurance Services chairman shares benefits of family office liability cover and commonly overlooked risk management issues. PALM BEACH, FLORIDA, USA, December 24, 2018 /EINPresswire.com/ — When a family office is created, the 'corporation' itself and any staff often take on huge liabilities. According to Bruce Gendelman, like all directors, officers, and other professionals, those working for family offices are at significant risk of being sued for anything from professional negligence or mismanagement of funds through to employment and other forms of discrimination. "Generally created to manage investments, trusts, household staff, property, legal matters, philanthropic ventures, succession planning and more, anyone who becomes formally involved with a family office is typically taking on a degree of liability," reveals Gendelman, chairman of Bruce Gendelman Insurance Services. Gendelman goes on to explain that one way to protect a family office is to procure appropriate family office insurance from a broker who specializes in the field. "A highly customized policy should be able to encompass virtually any of the professionals who serve a family or family office," says the insurance firm chairman. Benefits of such cover are touted to include reduced liability of the executives and professionals in a family office, improved ability of a family office to recruit and retain qualified executives and professionals, plus enhanced performance and more efficient administrative processes and operations. Another benefit includes avoidance of potentially time-consuming and distracting claims and litigation, according to Gendelman. Coverages and additional benefits typically associated with family office insurance extend to professional liability, family trust and trustees liability, directors and officers liability, employment practices liability, pension and welfare plan liability, private fund coverage for investment entities, and professional service endorsements. "An experienced broker," Gendelman continues, "will work with you and your team to determine the standard of insurance cover necessary, as well as the deductible level." This, he goes on to explain, includes the assessment of likely risks and the tolerance for those risks, internal controls, and what the insurance market is willing to provide. "At Bruce Gendelman Insurance Services, our personal approach is distinctive and backed by a thorough knowledge of the ultra-high-net-worth insurance market, including family office cover," says Gendelman. "Our carrier partners," he adds, wrapping up, "utilize their management teams to provide valuable advice on loss prevention services, exposures and claim mitigation as they relate to family offices." Bruce Gendelman formed Bruce Gendelman Insurance Services in 1982 to provide cutting-edge insurance solutions for affluent individuals and families where clients' interests are always paramount, with the business focused on protecting client assets while maintaining total privacy and confidentiality. To learn more about Bruce Gendelman Insurance Services or to uncover further benefits of family office liability cover, please call 800-845-4145 to speak to an insurance concierge or visit https://www.gendelman.com/. RALEIGH, NORTH CAROLINA, UNITED STATES, December 21, 2018 /EINPresswire.com/ — Why is DevOps Agile Skills Association (DASA) Launching a DevOps Enterprise Leadership Forum? Every day we come in contact with individuals, organizations that want to engage and contribute to the adoption of agile, DevOps ways of working. Our ambition is to provide a community-driven platform for them as well as our global members who are also invested in helping their companies and clients succeed. They are passionate about sharing their experiences and learnings from others about their real-world IT Transformational journeys. If you think about the state of DevOps development, we are still in the early adopter phase companies adopting/implementing digital business models, In the 2018 Accelerate State of the DevOps Report presented by the DevOps Research & Assessment (DORA) they shared that since they began their study that participants who work in a DevOps team have increased reporting 16% in 2014, 19% in 2015, and 22% in 2016, and holding steady at 27% in 2017 and 2018. They also provided firmographics that indicated the two fastest growing industries are the Technology sector with 40% followed by the Financial Services industry at 15%, all other industries surveyed are in single digits. "These numbers reflect the interest in DevOps, while at the same time validating that there is still a long way to go. The majority of industries and enterprises are still in the early stages and are very keen to understand more from those that have started their digital transformations they are eager to hear the right way and the wrong way. IT has always been a disrupting force, but today traditional IT enterprises find themselves facing the reality that they must embrace new IT performance metrics that deliver a better, faster, more reliable business product or service. As an open, members-driven organization it's in DASA's DNA to want to help IT professionals and teams and enterprise organizations become high-performers. We believe in fostering and sharing knowledge and awareness from our global members as well as from other like-minded Thought Leaders, Practitioners, Consultants, and Industry leaders. We feel it's important to be a leader in helping to drive adoption and awareness in the market. Which is why we are so excited to announce today our new Enterprise Leadership Forum" says, Deborah Burton Managing Director of DASA. 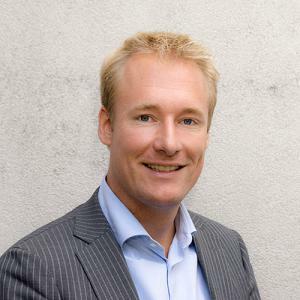 We are extremely proud to announce that Rik Farenhorst, CIO of Transavia Airlines has accepted the position of Chair of our Enterprise Leadership Forum. "During my whole career, I have been fascinated by helping companies to create more value out of IT. I have done this from hands-on, academic, consulting, training and leadership perspectives and I strive to combine lessons learned and experience from these various perspectives into a format that helps companies to create a high-performance culture. For me, this is what DevOps is all about. 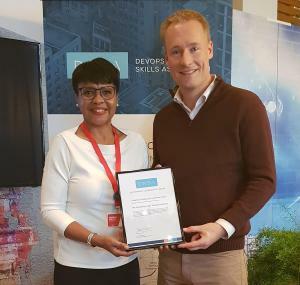 Since its birth, I see DASA as the perfect platform to connect professionals that want and need to develop core DevOps knowledge and skills crucial for staying relevant and helping companies to survive in this era of digital disruption. I am humbled to take up the role of DASA’s chair of the enterprise leadership forum. I look forward to contributing by inspiring many peers in the industry, sharing experiences, bring modern leaders and organizations together, and learn from each other’s best practices." says Rik Farenhorst, CIO Transavia Airlines. We launched DASA in April of 2016, with (29) Forerunner member organizations that represented leading training, consulting, tooling, software, and corporates there was no body of knowledge or guidance that was available to help Development (Dev) and Operations (Ops) people learn how to work effectively as members of one team who were responsible for a product or service from concept to grave. To address this we built our DASA DevOps Competence model that identifies the (4) skill areas and (8) knowledge areas IT professionals require to learn how to work effectively as a DevOps Team. Our competence model has resonated globally and today DASA has grown into a worldwide movement of over 300+Training Partners, 100+ Forerunners, and DASA Ambassadors represented on (4) continents. We strive to always think global but act local and that is why our popular DASA Fundamentals Syllabus, Glossary, and Mock Exams are now available in English, Dutch, French, Spanish, German, Finnish, Japanese and Polish, with more languages coming shortly. The oil industry continues to make huge profits, but this comes at a huge cost, according to one attorney featured in a viral news video. HOUSTON, TEXAS, UNITED STATES, December 20, 2018 /EINPresswire.com/ — The oil industry presents many dangers, says Michael Callahan. Callahan is an injury attorney in Houston, and he recently discussed these dangers in a Facebook Live video that has over 8,000 views. In the interview, which took place on the AskTheLawyers.com™ Facebook page, he explained that it’s not just the workers who are at risk. The communities near the oil and gas well sites have to deal with the increased presence of oilfield service trucks and tankers. These heavy vehicles can damage not only the community’s infrastructure including roads but also pose a threat to other drivers. He’s currently representing the victims of a crash caused by a tanker truck that pulled away from a stop sign into oncoming traffic hitting a vehicle and seriously injuring a family. “It's not clear at this point what caused the truck driver to do that, but I suspect that it was it was fatigue coupled with a sense of urgency in trying to get his load delivered,” Callahan said. He previously represented an oil field worker in a drilling rig accident where the driller lost control of the load being lifted causing the 12,000 pound block to swing into the worker crushing his leg. Callahan also represented the family of a young drilling rig worker who was killed when the brakes on the rig failed causing a 10,000 pound piece of equipment to fall to the rig floor. The young man was unable to get out of the way and was struck causing fatal injuries. Be very careful about signing any liability waivers. He cautioned that some companies may try to get workers to relinquish their rights to file a lawsuit. He said it is absolutely essential to speak with an attorney experienced in oil field injuries to learn about their options for seeking justice. Plano, TX December 20th, 2018 – Repairify, Inc., the maker of the patented asTech® diagnostic device is excited to announce the appointment of Rob Wagman to its Board of Directors, in the role of Chairman. Mr. Wagman previously served as the President and CEO of LKQ Corporation (NASDAQ:LKQ) from 2012 to 2017, overseeing the company’s revenue expansion from $4.1 billion to $9.7 billion . Under Mr. Wagman’s watch, LKQ’s stock price grew at a CAGR of over 20%, creating over $8.0 billion in equity value for shareholders. Mr. Wagman joined LKQ at the company’s inception in 1998 and previously served as Senior VP of Operations – Wholesale Parts Division and VP of Insurance Services and Aftermarket Operations. Prior to LKQ, Rob worked for Copart and Triplett Auto Parts. Doug Kelly, CEO of asTech®, said, “Rob’s knowledge of the automotive industry combined with his experience in successfully leading and growing LKQ will be extremely helpful as we continue to aggressively grow our business.” Kelly added, “Rob understands the need to deliver OEM level service when it comes to servicing today’s sophisticated vehicle safety systems.” Mr. Wagman commented, “I am looking forward to working with this seasoned leadership team and guiding the company as it continues to grow its burgeoning diagnostics business and expand into new markets”. Paul Cifelli, Managing Director at Kinderhook Industries, LLC, stated, “We are very excited to be partnering with Rob Wagman on another Kinderhook portfolio company. His industry knowledge and relationships have been invaluable to the management teams of our portfolio companies.” Mr. Wagman also currently serves on the Board of Directors two other Kinderhook portfolio companies – National Truck Protection and All States Ag Parts. asTech® is a leading provider of automotive diagnostic, vehicle electronic repair and calibration services with patented technology that allows for bi-directional communication between OEM factory scan tools and ASE Certified Technicians, ensuring a safe and proper repair of the complex electronics systems. The asTech® process allows a vehicle to stay in the production lane, reducing cycle time while improving repair quality, resulting in improved customer satisfaction, elevated safety and a lower overall cost of repair. asTech® device allows shop technicians to connect remotely to an OEM tool and ASE Certified Technician over the air to perform vehicle health checks, reprogramming and calibrations. For larger customers, asTech® will place full-time employees on-site to handle vehicle diagnostics, smaller repairs, and calibrations. For larger, more complex jobs, asTech® will dispatch highly specialized technicians through its nationwide mobile business. 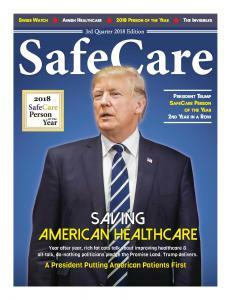 LEXINGTON, KY, USA, December 20, 2018 /EINPresswire.com/ — SafeCare Magazine announced today that US President Donald J. Trump was awarded its 2018 Person of the Year. The cover line reads, "Saving American Healthcare: A President Putting American Patients First“, and the cover image features a thoughtful President of the United States. 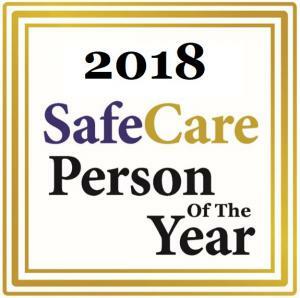 The SafeCare Person of the Year recognizes the one individual who has contributed significantly toward improving the access, cost, and quality of healthcare across the globe. President Trump also received the 2017 SafeCare Person of the Year from The SafeCare Group. Our pictures and the President's comments display his passion and drive to helping American patients. Our President’s actions of Putting American Patients First is yielding significant improvements in healthcare for the American people. Moreover, President Trump is accomplishing for the American Patient despite having to overcome unprecedented partisan obstruction and political gridlock. SafeCare magazine thanks its numerous readers who supported the nomination of President Trump. SafeCare Magazine® is owned by The SafeCare Group®, and delivers information on the people, ideas and novel technologies affecting access, cost, and quality of healthcare across the globe since 2015. The SafeCare Group® invested heavily into Artificial Intelligence to realize game-changing clinical, operational, and financial opportunities for hospitals. We call it SafeCare Applied Intelligence® to improve healthcare efficiency, quality, and patient safety. Under the initiative Softwaring Healthcare Excellence®, The SafeCare Group distributes disruptive healthcare software that optimize hospital reimbursement and accreditation. Since 2013, under the venture Recognizing Healthcare Excellence®, The SafeCare Group ranks and rates the 100 SafeCare Hospitals® listings – 100 US hospitals that excel with low infections, readmissions, and complications. For more information about The SafeCare Group, visit www.safecaregroup.com. Over 100,000 women who have suffered from complications of the transvaginal mesh device have filed personal injury claims against the device manufacturers. SANTA BARBARA, CA, UNITED STATES, December 18, 2018 /EINPresswire.com/ — Over 100,000 women who have suffered from complications of the transvaginal mesh device used for pelvic organ prolapse (POP) and stress urinary incontinence (SUI) have filed personal injury claims against the manufacturers of their device and these cases have been consolidated in West Virginia in the largest Multidistrict Litigation (MDL) in history. Despite the MDL being closed to new case there will be large numbers of women filing lawsuits in State Courts across the country for catastrophic injuries caused by transobturator slings that continue to be implanted by the thousands across the country. Injuries from the transobturator sling pudendal neuralgia, obturator neuralgia, and Complex Regional Pain Syndrome (CRPS) produce life-time disability and requires ongoing medical treatment. What is clear from the ‘Transvaginal Mesh Debacle’ is that thousands of women have claimed disability for their injuries, many of which have been denied. It is essential for women to understand the requirements for disability which include the following: 1) The condition must be severe in that they impair a person’s ability to provide for their normal activities of daily living, 2) The condition must last at least 12 months, and 3) Functional impairment is such that there is no ‘other work’ that the claimant can perform. Social Security must not ignore reported pain in any disability determination. Pain, however, must be supported by ‘substantial evidence’ that it somehow ‘limits functional capacity physically and/or mentally’. As many women who have failed in their application for disability, pain is just pain, if it is not accompanied by a diagnosis. Social Security must consider certain documented diagnoses in the medical record including ‘neuralgia’ and ‘complex regional pain syndrome’. The definitions of ‘neuralgia’ supports a claim for disability in that it is ‘chronic pain’ when an ‘individual feels sensation of pain without any actual stimulation of pain receptors’. The diagnoses of CRPS Type 1 and Type 2 in the medical record should support a claim for disability in that these are well described entities that produce catastrophic disabling pain that is often progressive. TVM injured women with documented obturator neuralgia and/or pudendal neuralgia should support an application for disability benefits. Ongoing medically necessary treatments may include opioids, anticonvulsants such as Neurontin or Lyrica, antidepressants such as Elavil or Cymbalta, and implantable devices such as nerve stimulators will support these diagnoses and a claim for disability. TVM injured women with documented CRPS Type 1 (Reflex Sympathetic Dystrophy) which results from injury to soft tissues or CRPS Type 2 (Causalgia) which results from injury to the obturator or pudendal nerve, or CRPS (unspecified) should support a claim for disability. 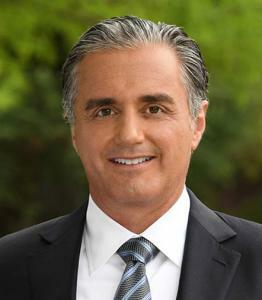 Greg Vigna, MD, JD, a practicing physician and national pharmaceutical injury attorney, states that he has ‘discussed disability issues with a large number’ of women inside the restraints of the MDL and now those who have suffered catastrophic injuries from the transobturator sling device used for stress urinary incontinence and that he has ‘never’ had a woman lose an appeal for earned disability benefits if they have documented pudendal neuralgia, obturator neuralgia, or CRPS diagnosis’ in their medical records. Unfortunately, Dr. Vigna adds that ‘many women with symptoms consistent with these diagnoses and disability from these symptoms have not been diagnosed and have failed to obtain the disability benefits they require’. 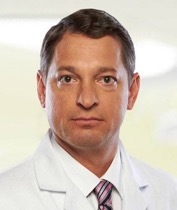 For more information, and to contact Dr. Greg Vigna, visit: http://pudendalportal.lifecare123.com/ or http://hibner.phaktory.net/video/65674772. Choosing a right Insurance Agent who can provide commendable guidance in Insurance related matters is as important as choosing or selecting a good physician. PHOENIX	, ARIZONA	, USA, December 18, 2018 /EINPresswire.com/ — An independent and professional insurance agent, also sometimes referred to as Insurance brokers, you finally choose can probably be a deal maker or a deal breaker of your life and its savings. For the fact that Insurance is something that involves yours and your dependents' lives and assets, it has to be a decision that demands enough of your time and involvement. Independent insurance involves a contract between the insurance company and the insured, which is bought by making regular periodic payments known as premium. These contracts are facilitated with the assistance of professional and independent insurance agents. Richard Johnson (Insurance Agent) help their customers decide, the type of life insurance they would require – whole life or term life. Independent insurance agents also help their clients find suitable rates for the kind of insurance policy they require. Independent and professional insurance agent, a person needs to be committed and willing to work hard for the leads. If you are looking for a good and trusted professional and independent Insurance agent who can help secure your savings and life by working out the best Insurance plan for the requirement, check out the best Insurance agency for getting the right kind of insurance online on Richard Johnson. They are a good insurance agent who has sufficient and good knowledge in the insurance type of your choice can ensure that you are covered under a policy that gives you maximum protection at a premium rate as per your preferences that is comparatively low.